An ageing workforce is likely to increase the need for less physically demanding jobs or maybe technology might address this issue. 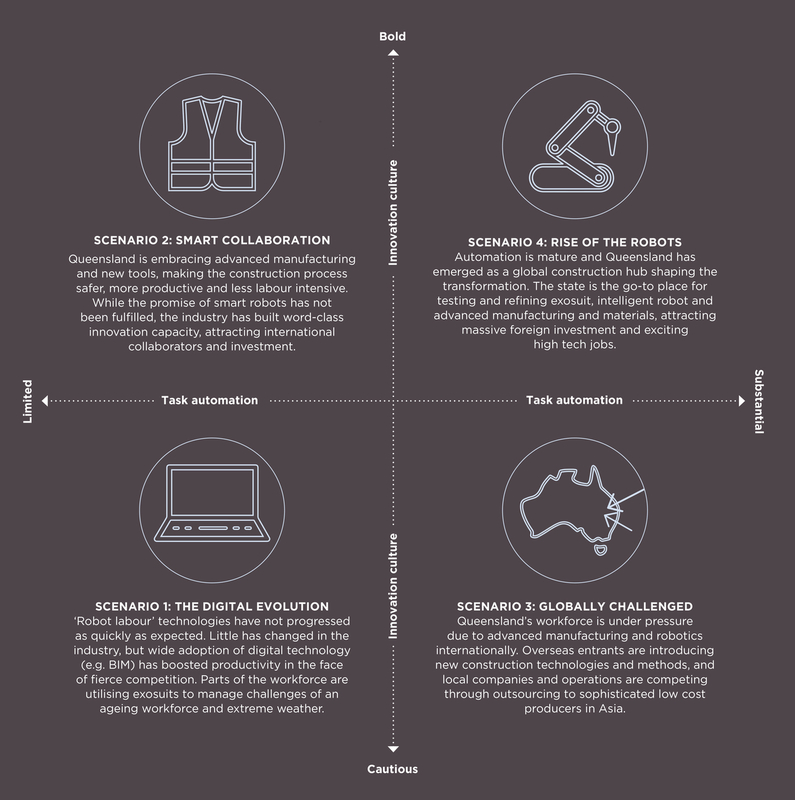 Task automation and the industry’s innovation culture are two of the greatest areas of uncertainty for the construction industry. A new study that developed evidence based scenarios for 2036, depicts how automation and manufacturing could grow in the construction sector, creating more knowledge intensive jobs as a result. The study explores future technology that eliminates dangerous and difficult tasks, particularly in light of the ageing workforce. Experts in the industry were asked the extent to which technology would progress and how many or which tasks could be automated. There was no consensus on this and the other point of contention between the interviewees was how bold the industry would be in its pursuit of new solutions. 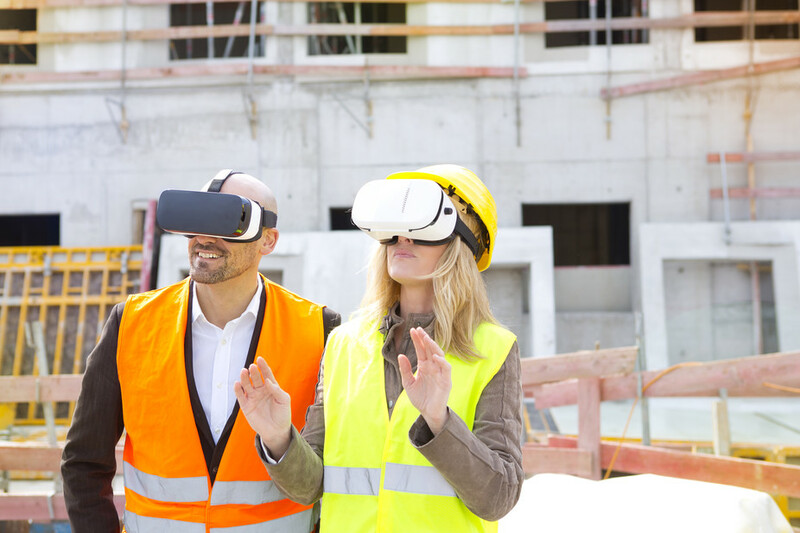 The research did suggest the construction workforce will need a broad understanding of digital applications, in addition to traditional project management and communication skills. Someone who oversees robotic systems and examines data feeds throughout the life of a project. This worker would optimise workflows and make adjustments on real time feedback from clients about design or changes to materials. 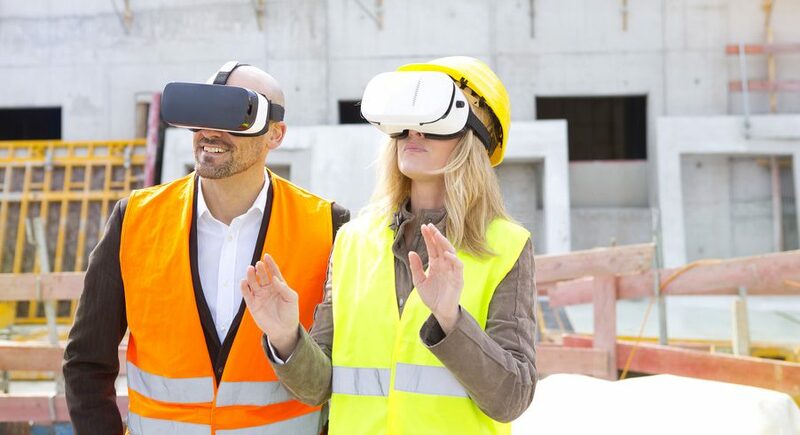 Breakthroughs in virtual and augmented reality technology could provide low-cost immersive environments where apprentices and trainers can meet virtually in any training situation, such as worksite, factory, design studio – the possibilities are endless. These professionals would control and program drones to carry out complex tasks such as site inspections, deliveries and maintenance. Robots in the workplace will need someone to take care of commissioning, software programming, maintenance and re-purposing or recycling of robotic parts. Keeping track of this exploding field of technology will be a key challenge for the role. The Australian construction industry is changing with the introduction of digital collaboration platforms, like Building Information Modelling (BIM), robot machine prototypes such as the Fastbrick robot and rapid progress in 3D printing capabilities. These innovations will need more people skilled in the use of software programs and less people for labour-intensive jobs such as bricklaying or paving. BIM is software that creates a 3D visualisation of a building. However, it extends beyond 3D imaging to show scheduling, cost control, facility management and energy performance monitoring. The UK government has mandated that all centrally funded work is to be undertaken using BIM by April 2016 and the Queensland government has stated that it will progressively implement the use of BIM into all major state infrastructure projects by 2023. As workers’ skills in BIM increase in Australia, the improved cost and time saving will drive customers to demand that projects are managed in this way. Already, in the Netherlands, the company MX3D is using 6-axis industrial robots to print a fully functional steel bridge. Contour Crafting technology, a process invented at the University of Southern California, has great potential for automating the construction of whole structures as well as sub-components and a company in China is using 3D printing to build houses. The manufacturing part of the construction industry is expected to grow at 5% per annum out to 2023, compared to a growth rate of 2.3% for the industry as a whole. While the current prefabricated building market in Australia is still comparatively small, with only A$4.5 billion of the total A$150 billion construction industry, it is expected to contribute to more affordable housing stock and to take a much greater share of creating multi-storey buildings. The nature of construction work is set for a step change over the next 20 years and careful strategic thinking is needed to navigate the changes. The changes will require humans to exercise judgement and decision-making that reflects human values and aspirations; a task that is well beyond the most advanced artificial intelligence systems. I for one am very excited by the prospect of the future technologies that will be employed in the near future. I am a little sad ,though, that it looks like Australian manufacturers will once again give up the fight and import tech and finished product from innovative far sighted overseas companies. More power to Data 61 and the CSIRO though for being at the forefront of trying to get these technologies off the ground here in Australia.